For the best Busselton Phone Fix service, look no further than FixBox Phone Repairs Busselton. 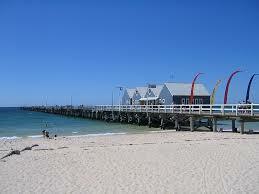 We’re located at Shop 7/90 Queen Street, Busselton, behind the cinema next door to Mr.Sushi. With stores in Margaret River and Dunsborough, we are easily accessible, no matter where in the southwest cape to cape region you live. FixBox Phone Repairs Busselton Phone Fix service use the highest quality parts at the best prices. We can achieve this through our strong purchasing power and long term and successful wholesaler arrangements. We not only provide great pricing on high quality aftermarket screens. We also offer repair options using the best original equipment manufacture (OEM). Whether you have an Apple, Samsung, Sony, HTC, Oppo, Motorola, Nokia or any other brand, our Busselton Phone Fix service is able to help you. We fix all sorts of phone and tablet issues. You might have a charging port, battery, speaker, microphone, button, screen, back panel or more. Well FixBox Phone Repairs Busselton Phone Fix service will have you covered. With more experience, locations and customer satisfaction than any other phone repairer in the southwest region, FixBox Phone Repairs Busselton Phone Fix service is the safe choice. Don’t trust your valuable and important phone or tablet device to repair cowboys with little to no experience. We guarantee our work, don’t charge if a device is irreparable and offer free quotes on water damage and other repairs. We pride ourselves on running the most professional Busselton Phone Fix service. We can provide insurance quotes for fast and easy insurance company payouts on damaged devices. We offer full credit card facilities, ABN listed invoices and the best warranty conditions in the southwest. Drop in to FixBox Phone Repairs Busselton at Shop 7/90 Queen Street, Busselton WA, 6285. Otherwise you may email help@fixbox.com.au, call or text 0439920399, or scream very loudly. We look forward to providing you with the absolute best Busselton Phone Fix service!